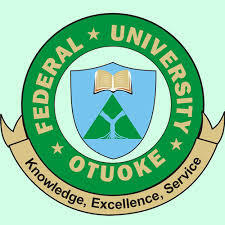 Federal University Otuoke (FUOTUOKE) Acceptance Fee Payment, Registration and Admission Clearance Notice to all Newly Admitted/Fresh Students for 2018/2019 Academic Session. Authorities of the Federal University Otuoke (FUOTUOKE) wishes to inform all newly admitted students of the institution that the payment of acceptance fee and registration exercise for 2018/2019 academic session has commenced. The Registration and Clearance of 2018/2019 Fresh Students commence on Wednesday, January 16, 2019. Visit ICT Department at West Campus to begin the process. Students are advised to visit the University Website www.fuotuoke.edu.ng or http://ecampus.fuotuoke.edu.ng/ for more information.